In Viking Saga, you hold the heavy responsibility of lifting the curse of Loki, the God of mischief, off your father. Train your crews, build resources and embark on an adventure to appease the god. Your time management and every decision will determine the survival of your entire Viking clan. Quick, your time is running out! 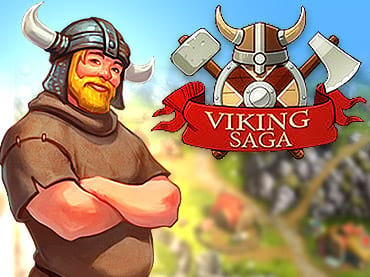 - Viking Saga is free full version game to download and play. If you have questions about Viking Saga game, please contact us using this form.